This is the pilot's watch with attitude. The 900 DIAPAL brings together a number of different SINN technologies which, when combined, yield maximum reliability in terms of time measurement and functionality. Worthy of particular mention here is DIAPAL Technology for a lubrication-free anchor escapement. This is documented by the DIAPAL lettering on the electroplated charcoal grey dial. 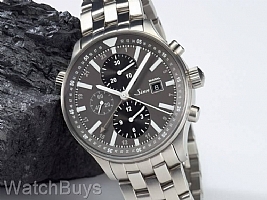 As a result of this extraordinary technology Sinn offers a ?ve year warranty on the 900 DIAPAL. The large pilot chronograph also features Ar-Dehumidifying Technology for increased functional reliability and freedom from fogging. 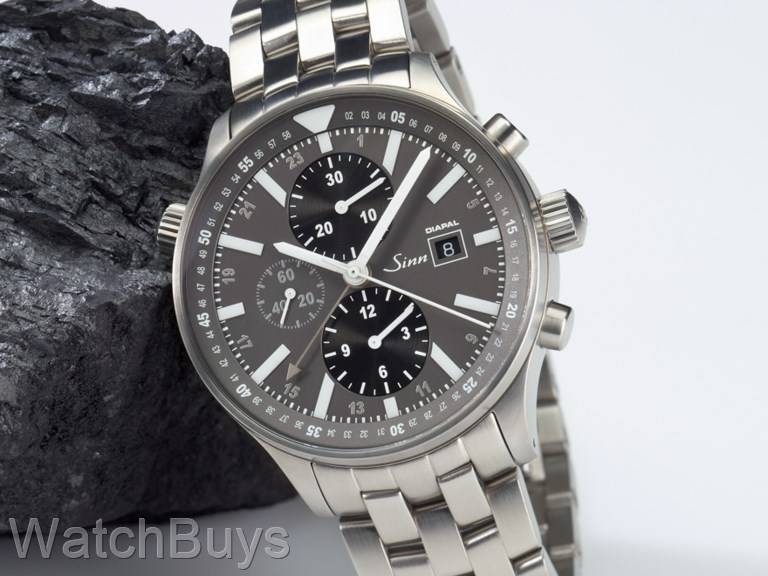 The sanitized stainless steel case has been hardened with TEGIMENT Technology making it especially scratch resistant. Magnetic Field Protection up to 80,000 A/m completes the list of technologies. Thanks to the luminous indices, the 900 DIAPAL offers great readability even in the dark. The ?ve conversion and tracking scales on the case back for both European and American units are extremely practical.